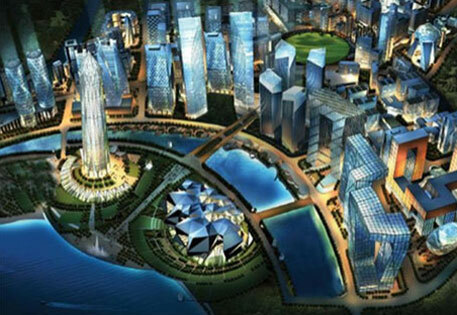 With nothing concrete to show on ground or on paper, are smart cities being offloaded? Prime Minister Narendra Modi promised 100 smart cities but Union budget 2015 made no mention of the big ticket scheme. Finance minister Arun Jaitley did allot Rs 1,200 crore for two sub-corridors within the Delhi Mumbai Industrial Corridor project but avoided the term “smart city” in their description. Similarly, he skipped using the phrase while talking about realisation of GIFT project in Gujarat, which is hailed as India’s first smart city in the making. Quite a turnaround from last year when Jaitley extensively stressed on India’s need for smart cities to house the increasing urban population and allotted an impressive Rs 7,060 crores for making them happen. This makes one wonder if the scheme still on. The signs have been ominous as the urban development ministry has just a concept note (that too in draft form) to show for Rs 7,060 crore allocated last year for the scheme. News media reported on December 21, 2014 that Rs 800 crore or just 11 per cent of the money allotted for smart cities has been spent so far by the ministry. Rules restrict spending of unutilised fund in the last quarter of the fiscal and this will ensure 80-85 per cent of the fund would be surrendered end of March. May be this un-smart reality prompted Jaitley’s volte-face. Nevertheless, Jaitley has allocated overall Rs 22,407 crore for housing and urban development in this budget. This is a good amount but it will need backing of proper policy and guidelines to achieve the grandiose aspiration of urban India. Lack of policy guidance stalled about 250 under-construction urban infrastructure projects as the previous government’s urban renewal mission completed its sanctioned nine-year term on March 31, 2014 and the new regime neither extended it nor replaced it with a new one. It is not desirous that urban development projects are stalled even when the funds are rotting in the ministry’s coffers. Historically, cities were never on the government’s priority development agenda as policies were governed by the dictum that “India lives in her villages”. It is in this context that the government’s “100 smart cities” project held mega significance as it marked a momentum shift in national policy. This was a positive move as India is rapidly urbanising and there is need to expand the previous government’s flagship Jawaharlal Nehru National Urban Renewal Mission (JNNURM) which was limited to 65 select cities. The new vision was to cover urban renewal of 500 cities, rejuvenation of heritage cities (like Varanasi) and the implementation of 100 smart cities (understood to be both “greenfield” and “brownfield” development). Indian cities have been failed by their planners, engineers and governments and their collective desire to copy London, Tokyo or New York. The buzz over smart cities was interesting as for first time politicians were talking about improving our cities based on systems instead of aesthetics. But many experts expressed genuine fears that we might fall into the trap of the Western idea of smart cities and empty our limited coffers in building something which might further reduce our urban landscape into refined, high-end enclaves surrounded by vast, formless slums where issues like e-governance and broadband connectivity have little immediate relevance. Today, smart thinking will require not only copying the model cities of the already developed Western world, but also find a new measure of liveability that will work for the Indian situation, where the cost of growth is unaffordable for most. Formulating guidelines for such ambitious vision can be time consuming and government should rightly take its time to get the details right. We cannot afford any more half-borrowed and half-understood schemes. It may be late but we have a concept note now; and the task at hand is to translate it into an effective reality on ground. The last government’s urban renewal mission couldn’t achieve its target, mostly owing to differences over money- and responsibility-sharing arrangements between the Centre and states. And the same malaise seems to have struck smart cities. Venkaiah Naidu announced last month that cities will have to earn funds for smart cities, pointing out that Centre won’t invest based on need of a city but its ability to impress the ministry with fancy proposals. We have already inherited cities with very compact, walk-to-work, mixed-use, high density and resource-efficient urban form which Western cities are now recognising as sustainable urbanism and trying to achieve for themselves. We need to build on our strength and engage appropriate technology to modernise. Street smart is what Indians are known to be and we need to capitalise on this. Empowering cities and its people with not just smart policies and digital management systems but with the mandate, the means and the creativity to execute and implement them is what is desired of Naidu. City governance needs overhauling and strengthening in addition to their hard and digital infrastructure. And both need to happen simultaneously. But now with no fund earmarked for “smart cities” all eyes are on Naidu as to how he will complete the projects left unfinished by the last government, and, meanwhile, roll out an action plan for smart cities which not just makes them smart but also inclusive and dynamic to address all that ails our cities: problems of housing, water, energy, pollution, waste, mobility and inequality. And this has to happen on ground and at its earliest and not just for 100 but all 7,935 towns/cities of India.